This workshop is great for small and is suitable for both adults and children from 9 years. 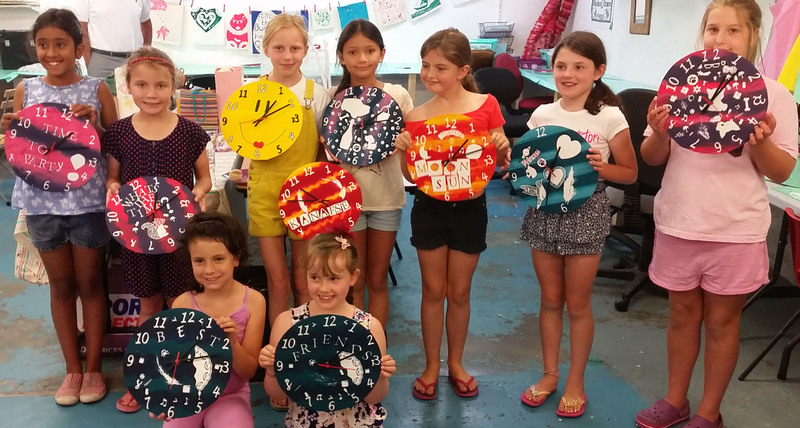 The duration of the workshop is roughly 2 to 3 hours during which time you will design your own clock face, print it onto fabric before constructing the final clock. This is a fun and involved workshop lead by an experienced tutor. Simply email us at lydia@ irisanddora.gg or telephone us 01481 721375 with your preferred date.